Counter-narratives on extremism are being peddled by a secret government propaganda program in the absence of oversight under the guise of “grassroots Muslim voices,” an investigation by a UK advocacy group suggests. A covert propaganda program run by the Home Office has been developing a labyrinth of “authentic” Muslim voices to create counter-narratives geared towards combatting extremist ideologies commonly seen among British millennials through community groups and NGOs. A report carried out by UK nonprofit group CAGE says this stealth government program has been in operation since 2011. The study, which was published Tuesday, warns the secret nature of the project and the misinformation it spreads are a poor reflection on a government that claims to uphold transparency. CAGE suggests public relations firm Breakthrough Media is tasked with spinning these counter-narratives and is likely protected under Britain’s Official Secrets Act (OSA). The advocacy group says the use of this legislation to cloak a government propaganda project in secrecy is a grievous abuse of government power. 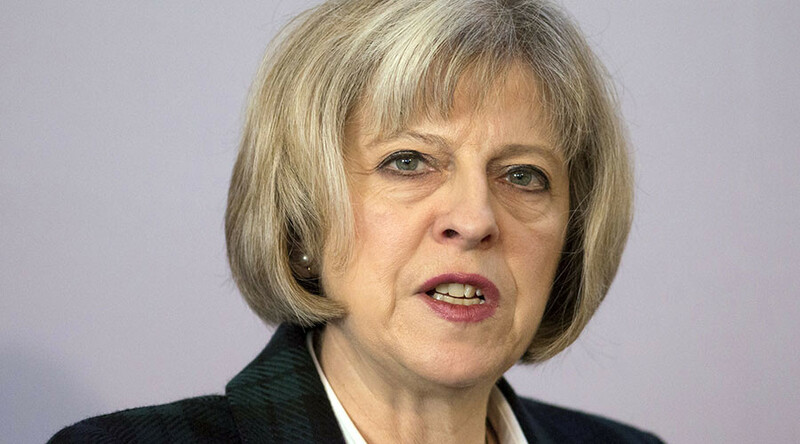 CAGE insists it would never disclose data that could undercut Britain’s national security. However, it says the Home Office’s clandestine propaganda project – run by the Research, Information and Communications Unit (RICU) – abandons democratic debate and due process in favor of state secrecy. CAGE argues the root causes of “politically motivated violence and radicalization” cannot be uncovered by a securitized government response and the Home Office must embark on broader ideological terrain in order to tackle these issues. Ben Hayes, who co-authored CAGE’s report, said the government’s secret propaganda project is damaging to society. “We should be under no illusion as to what is going on here. When the government starts using community groups and NGOs to disseminate government propaganda to hoodwink the public into believing they are authentic ‘grassroots’ campaigns, it damages everyone in civil society,” he said. Hayes called for honesty with respect to state-sponsored propaganda projects. “Having railed against ‘sock-puppet’ NGOs and introduced a ban on charities in receipt of public money lobbying government, it is time for an honest conversation about the impact, legitimacy and effectiveness of the government’s own secret propaganda programs,” he said. CAGE Research Director Asim Qureshi, who also co-authored the report, said RICU is using so-called grassroots organizations as convenient government mouthpieces. “There is also evidence to suggest that the government is using the Official Secrets Act to hide its relationship with the role of Breakthrough Media, the PR company driving the propaganda. This suggests an abuse of power and a contempt for open society,” he said. RT asked the Home Office whether it could confirm or deny the existence of the RICU propaganda project referenced throughout the report. A spokesperson for the government body defended RICU, praising the support the group has given to government actors “working on the frontline” to combat the “warped ideologies” of extremism and terrorism. "This work can involve sensitive issues, vulnerable communities and hard to reach audiences and it has been important to build relationships out of the media glare,” the spokesperson said. The Home Office spokesperson said the government body is as transparent as it can be about RICU’s operating model, but failed to make any mention of whether the organization is covered by the Official Secrets Act (OFA). "Our guiding principle has to be whether or not any organisation we work with is itself happy to talk publicly about what they do,” the spokesperson said.